Shrimps and avocado rolled in grilled eggs. "The true scent of nature's abundance"
Among the concepts of retreat, what luxury means have changed time to time. timeless simple pleasures we feel in nature. Making those two things connected, that's our vision via local cuisine. 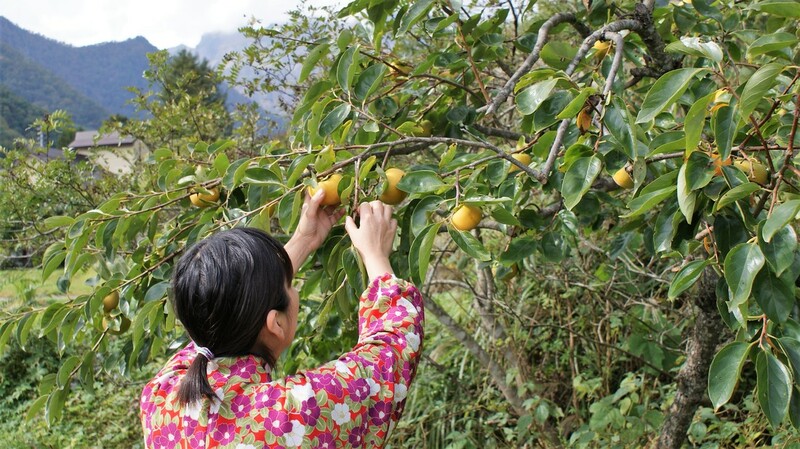 The abundance of nature here in Minakami starts from pure fresh water from Mt. Tanigawa, to freshly caught wild fishes, mushrooms, and to vegetables and meats produced by local farmers. 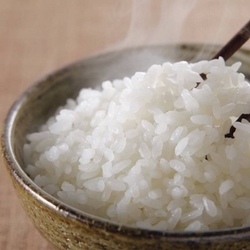 We prepare different kind of rices for dinner and breakfast. and Mina-zukiyo rice from this town for the breakfast. Might be a rare chance to compare awar-winning rice tastes. 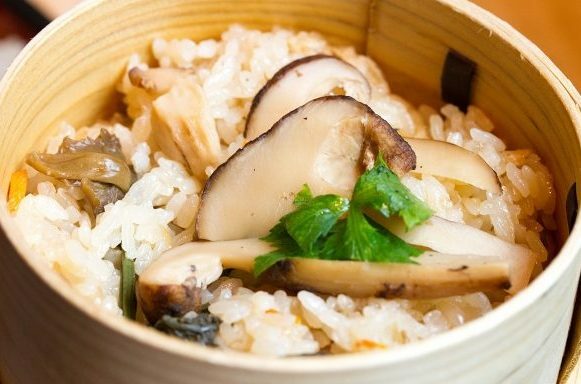 served in Japan's traditional wooden rice bowl called "Wappa". 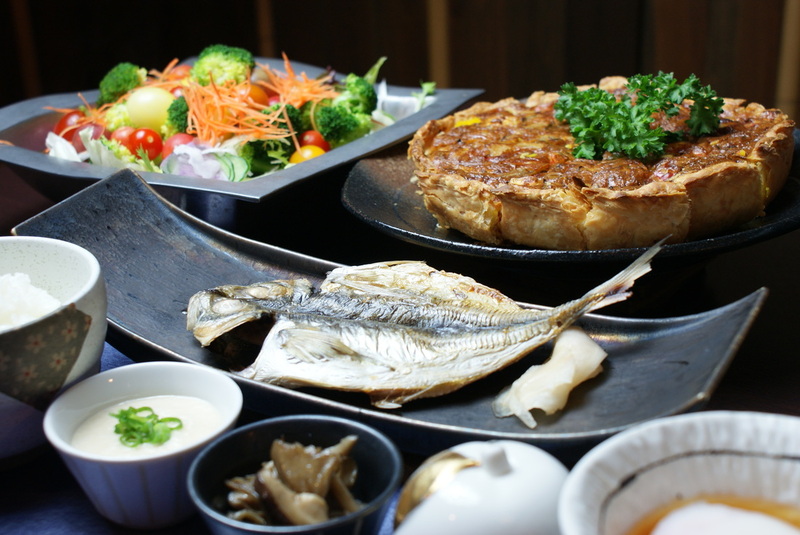 grilled freshwater fishes became the must for kanzan's cuisine. 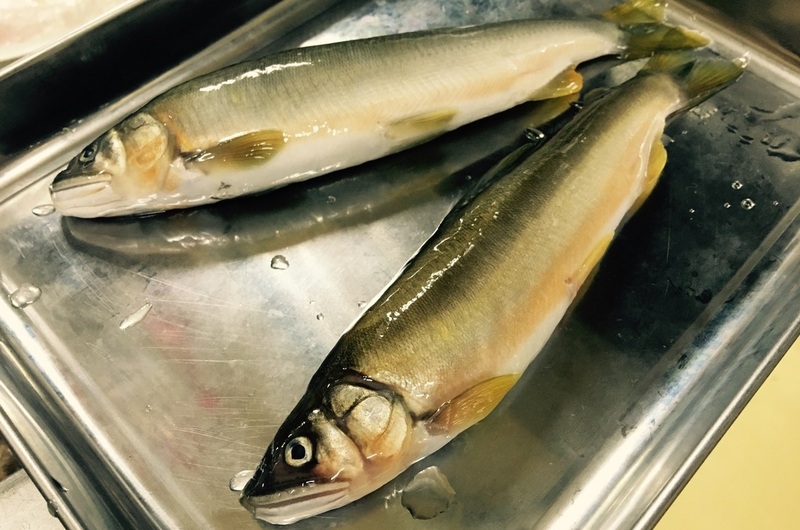 we prepare the best fishes for both size and quality everyday. Some accomodation plans include locally grown beef dishes for dinner. 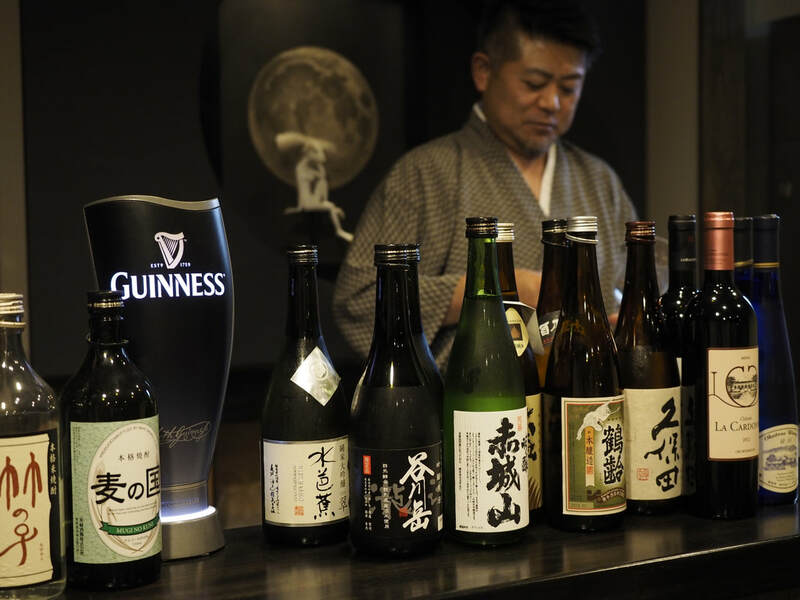 Enjoy it's incredibly rich taste of oil along with intense beefiness in Japanese style sauce. Organic veggies from local farmers. 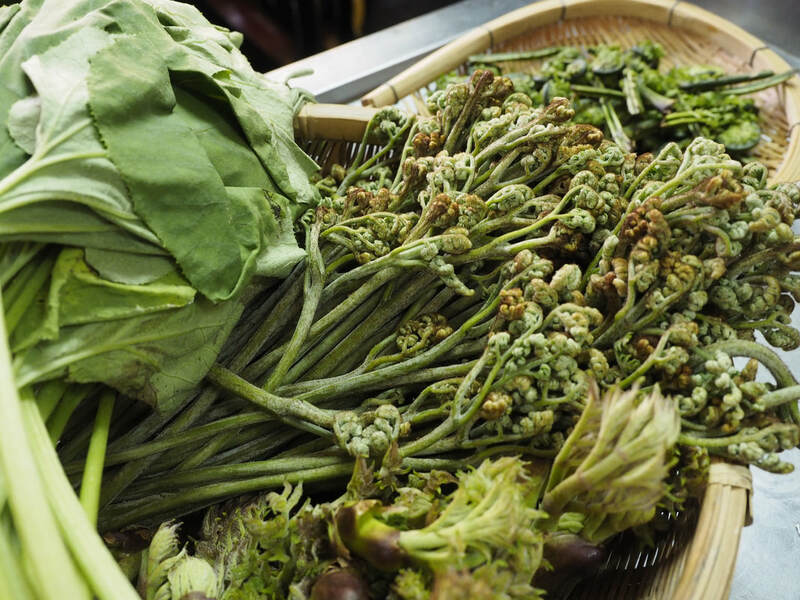 here in Minakami town the local vegetables are tasty and highly nutritious, particularly when they are organic ones. Our dinner starts with an abundance of local vegetables. Seafood in its most perfect state. 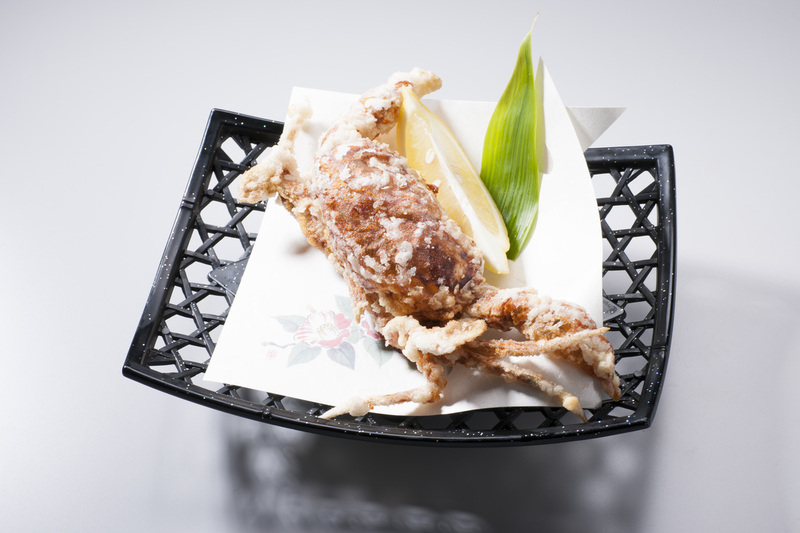 Tempura soft shell crab has been known as kanzan's special menu among Japanese tourists for over decades. 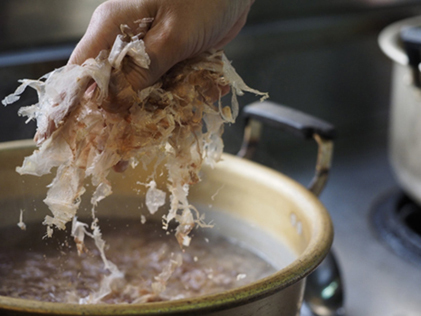 Tempura covers whole shell so the flavor gets sealed inside perfectly. prevent from drinking too much amount and promise a good sleep. Dinner starts at 18:30, so please make sure you arrive before that. When the morning fresh air delights a new day's start, your body's about to be awake. 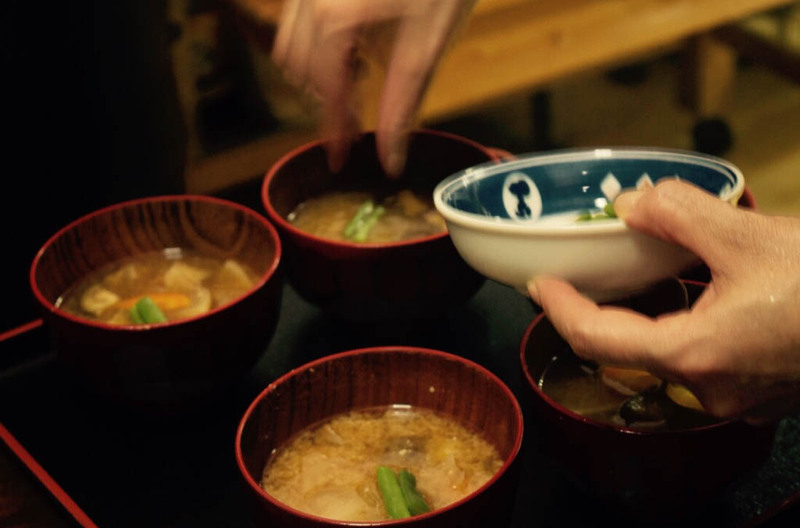 Miso soup traditionally has a work as a day starter here, providing decent appetite and much energy together. Our breakfast is 2 styles mixed. 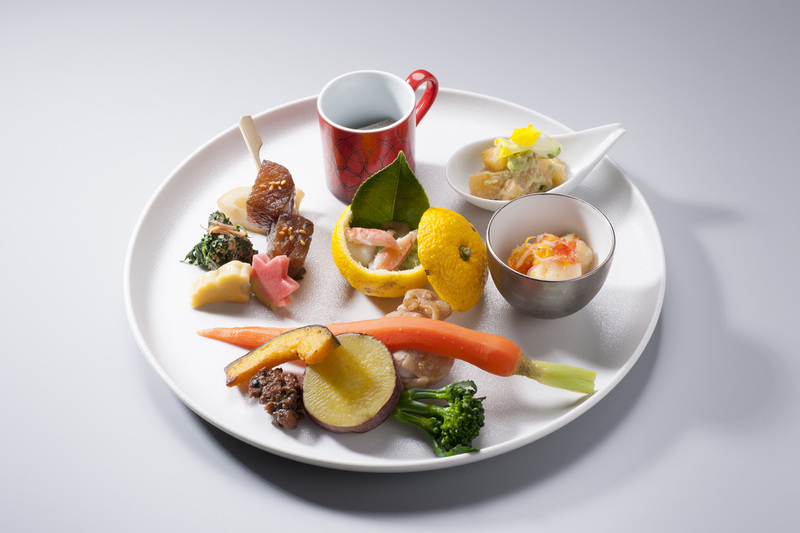 One is traditional Japanese style breakfast, rice, miso soup, toufu etc. There are 3 choices for main plate, dried horse mackerel, slice of salmon, or locally produced wiener. Another is buffet. salad buffet, quiche buffet etc. Breakfast starts at 8:00 and 8:30. 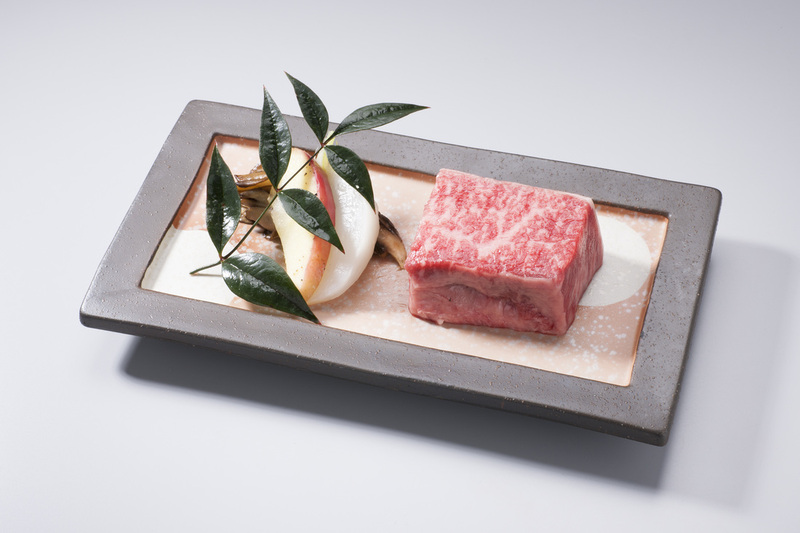 Here are examples of key items for seasoning that makes Kanzan's cuisine stunning. that the recipes have been taught hand in hand from old times. 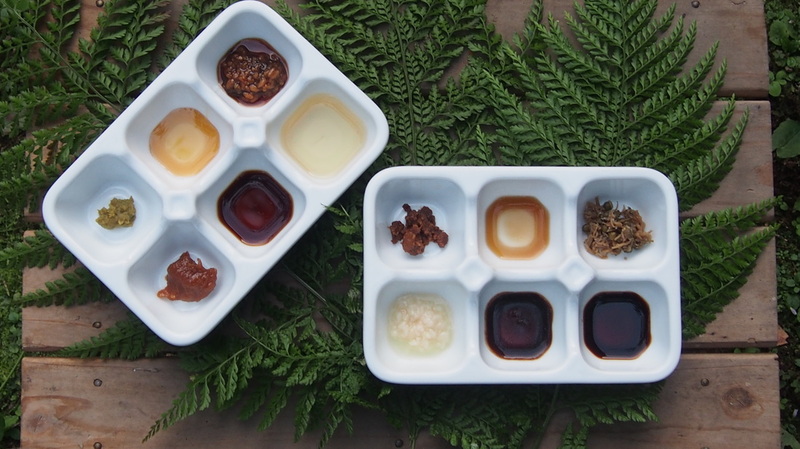 left dish：Yuzu&pepper paste, mix syrup of boiled down sugar and japanese vinegar, pepper pickled in miso and soy sauce, sweet miso, soy sauce#1, vinegar specially for seafood. right dish：minced meat seasoned with miso, boiled down balsamic vinegar, salted mix of young sardines and japanese sansho pepper, shio-kouji(fermented kouji molt, dense sou sauce, soy sauce for sashimi. It's all about mom's taste. 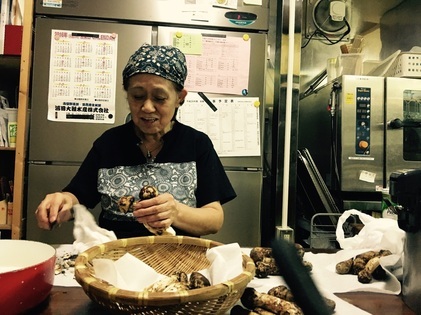 Besides homemade seasonings above, Umami that carefully extracted out of kelp/mushrooms/fishes by owner's mama is also the essential secret for Kanzan's cuisine, which keeps our cuisine genuine "local" not as commercial.